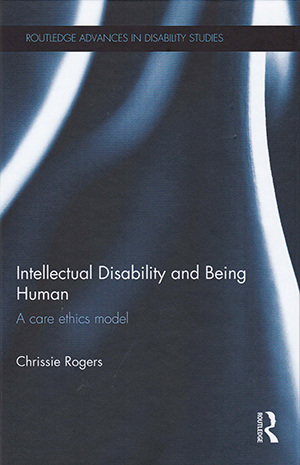 A strength of this text is how the author skilfully combines lived experience, research and academic theory to present a care ethics model for intellectual disabilities. The author discusses how the care provided for people with intellectual disability is often done in ‘care-less’ ways, and offers an alternative philosophy that is ‘care-full’. Examples such as the death of Connor Sparrowhawk at an NHS unit and of ‘mate crime’, in which vulnerable people are targeted by so-called friends, leave an impression of the often harrowing outcomes of the ‘care-less’ ways that people with intellectual disability are sometimes treated. The author’s care ethics philosophy is based on the ‘care-full’ provision of services, where personal interaction underpins all caring interactions. While this book is not specifically aimed at learning disability nurses, it does serve as a timely reminder to always operate in ‘care-full’ ways.